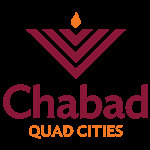 Jewish Art Calendar - Chabad Lubavitch of the Quad Cities. With great excitement, we are close to publishing Quad Citiesʻ 13th annual local Jewish Art Calendar. Your 2018 - 2019 / 5779 calendar will be mailed and distributed free of charge to the entire community and to all participating businesses in time for the upcoming Jewish New Year in September. The Jewish Art Calendar is Quad Cities only local Jewish and Secular combination calendar servicing the entire Jewish community, with thousands of readers locally. Currently, the calendar also serves as one of Chabad’s largest fundraiser of the year, through its advertising and greeting opportunities. This project is an outstanding opportunity for you to extend warm greetings, to insert your special occasions on the actual calendar date, and for your business to publicize your goods or services, ensuring optimum visibility for what you provide. Please fill out the form indicating how you wish to participate in the Jewish Art Calendar by July 25, 2018. For additional questions or assistance please call Chabad at 563-355-1065.